Are you looking for an original, one-of-a-kind exhilarating and unforgettable experience for your next corporate event? 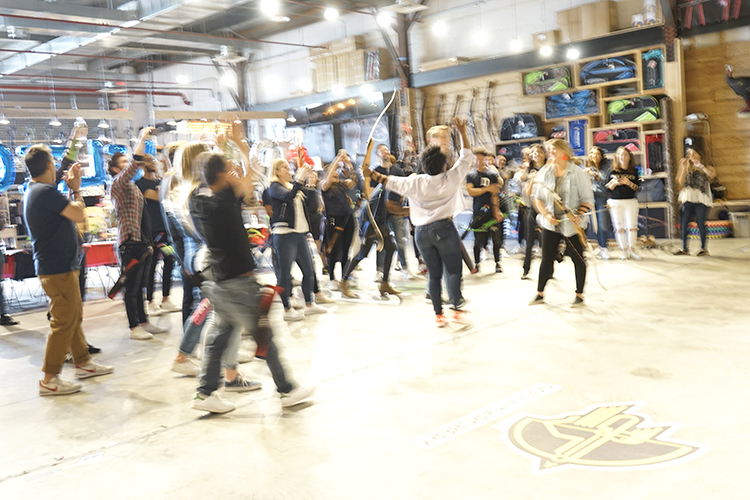 Whether it’s a holiday party, a team-building exercise or a way to say thanks for a job done well, Gotham Archery offers a unique solution for your next company outing. With 40+ available lanes at our Brooklyn location and 35 lanes at our Chinatown location, we’re able to accommodate private groups large and small. 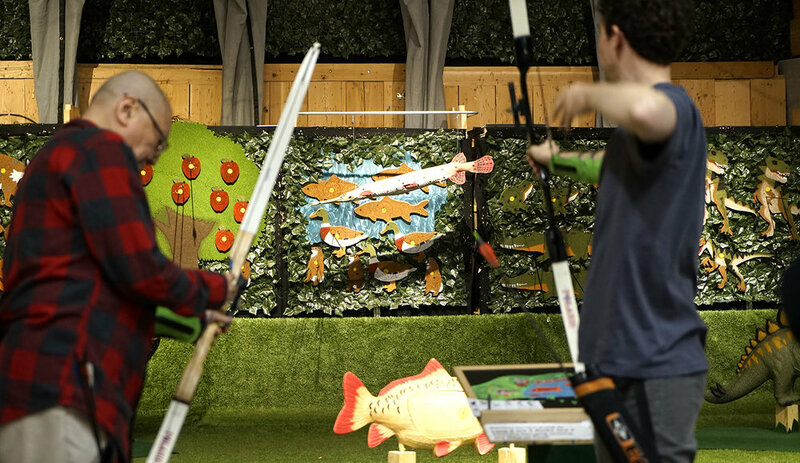 We provide instruction and all the equipment necessary to safely introduce you to the world of archery and axe throwing. Every person gets their own equipment and lane. No waiting around and sharing. Please note that we are an alcohol-free venue but we’ve teamed with some great local bars and restaurants in Brooklyn for post-archery celebrating. At Gotham Archery, we will custom-tailor each event to your specifications and needs. Beyond archery, we offer you the chance to learn knife and hatchet throwing. From team-based competitions to employee bonding exercises, we create an environment where your team will not only want to stay and enjoy themselves but also be able to engage in a truly new experience. Gotham now has a Blacklight Archery and or Axes and a 3D Archery Hunt option in some of the Event rooms. Complete the form below and let us help you coordinate a truly memorable event that you and your employees will be talking about for months to come.